Today is exactly one year I bought my first ever Smartphone from Orange South Africa also through Expansys UK. Three hundred and sixty five days after having the smart phone from one of the top OEMs, there has not been a single minute I’v had second thoughts as to whether I made a wholesome investment or not. Wanna learn some of the achievements unlocked with the phone? The Sony xperia z2 was my first smartphone ever although it wasn’t my first time using Android. As a keen Android user I used to follow trends and what phones were making the best of punches. Going in for my first smartphone, I wanted to make a good choice and ensure I enjoyed the biggest possible returns from using my smartphone for a long time ahead of me. Until early 2014, the smartphone I really had interest in taking for a ride was the Oppo N1. One of the features of the phone that caught my eyes was its rotating camera, being able to have a 13MP shots of both rear and front (think of selfies!). As a lover of photography, a phone of that sort would have ensured I get the best selfies and more out of my photography. Aside the camera, I love the design of the phone and all the interior works it came with. Oppo was not the best device on the market by then, but I liked it. Although that was the number phone on my list, I wanted to be sure if it really was worth my trust. To confirm that, I went out there to conduct research and find out what other options were available to me. My next stop was the HTC m8. Yes, by far, the HTC m7 was rated the best phone of 2013. This, I fully agree, because I had hands-on experience with the phone during my which-smartphone hunting times, and realized many facets of the phone that led me fix my eyes on that robustly built device. The design felt premium and the speed of the phone was amazing. It was a real winner for me looking at how successful it was. Thus, in 2014, I started following all the rumors I could get about this upcoming smartphone, the HTC m8. Rumours upon rumors, I realized the m8 was not going to be of any serious improvements. One of the biggest (I think that was the only) issues I found with the HTC m8 when it was eventually launched was the 4MP rear facing camera. That was a ‘no no’ for me. And it was a bad decision for HTC to have come in 2014 with the same camera hardware specs. Of course the HTC had the ultra pixel upperhand which proves priceless in low light conditions, yet it was not enough to convince me as I take pictures both in low and high lighting conditions, and I needed details to make the difference. I expected the m8 to have at least ship with somewhere of 8 or 12 MP camera, which I believe was not anything difficult to have been accomplish within a year HTC had. Nonetheless, they spent full one solid year with their hardware camera department closed, in sense, so as not to have made any improvement yo their flagship’s camera hardware. With that, HTC couldn’t win my heart eventually. And I had to look for alternatives. Samsung? Yeah, I had used Samsung Tablet for some 2 years so although I loved using their device, I was looking for a bit of change, something different. Although their tablets are not smartphone, using the tablet took me deep into learning the ecosystem.around Samsung. I even cleared the stock ROM and enjoyed usin CyanogenMod for the rest of time I had the tablet with me. In all, the tablet was great, the screen, battery, speed and functionality. But like I said, I wanted a smartphone from a different OEM to use. And the question was, who would this OEM be? One day in my month-long search for the smartphone that would be my gadget partner, I remembered I met a friend back in Ghana who used a phone called Xperia made by Sony. Quickly, I started reading about this Xperia. And since I was looking for a flagship smartphone, you could imagine what my searches were. Whatever phone brand I entered, the word ‘flagship’ was attached. Reading the specs sheet, I realized there’s not many improvements happening in the xperia Z line of phones. I learned the Sony z2 would be their latest flagship. 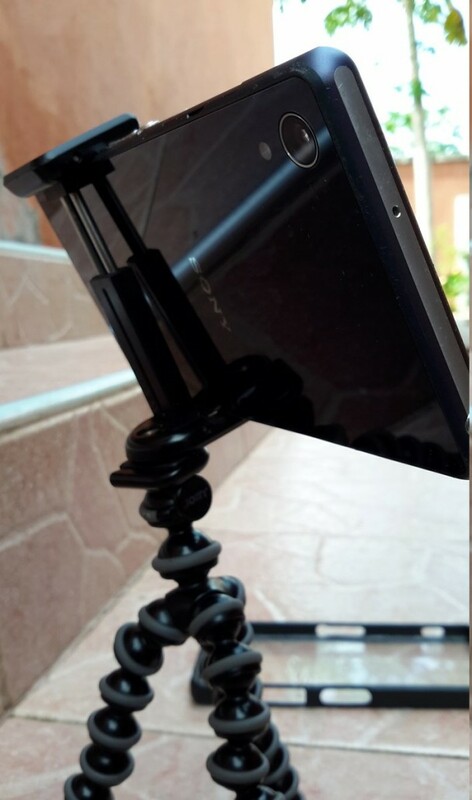 The winning blow from the z2 was its 20 MP camera. That was all I needed to hear. Obviously, megapixel isn’t everything, yet with the right camera software attached, it was going to be a big win win. Although there were other specs, like trilluminous display, front facing speakers, waterproof, front and back beautiful glass and a 3,200 mAh battery of the of the z2 that got me attracted to the smartphone, the core reason I decided to move along with Sony’s flagship pitch was the camera. I had to wait for the phone to be launched. So I waited. Although for close to 3 weeks of waiting time, I was patient. Didn’t feel time was running as fast as I wanted, but I had to relax, whiles I still remained on the lookout for any other better options. 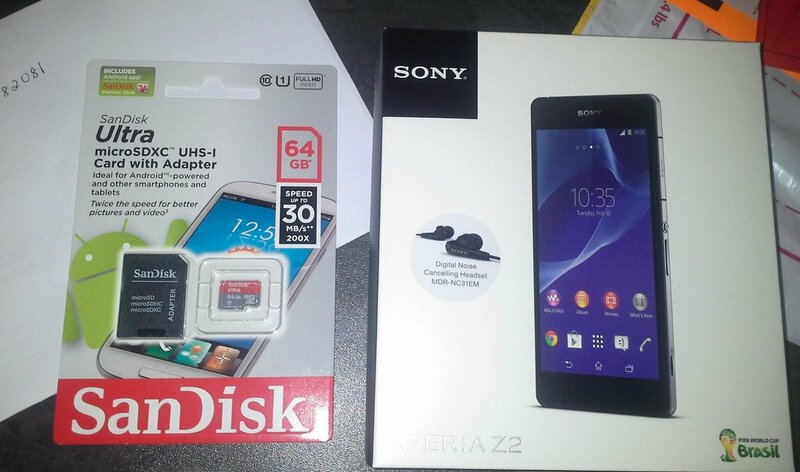 I bought and received my Xperia Z2 2 weeks in South Africa, CapeTown, Two weeks before the official launch by Sony South Africa. Fast forward. The phone is ready to purchase, unfortunately, Sony South Africa planned to launch the phone in south africa about 3 weeks after it was launched internationally. Orange did have the phone, not on pre-sale, but ON sale. So I asked myself, why not? I reached deeper into my pocket, as the phone didn’t come in that cheap. But I knew I was getting a toy that’ll play along well with me. and my picture-hungry personality. I like taking pictures. I have over 25,000 pictures, about 6,000 of them in public for anyone to view. I placed my order on Monday, paid on Tuesday, and the following week Monday, I came to the office and, and Behold!, the phone was right on my desk. Yaaay! It came in the box, a micro USB to USB adapter (which is a priceless adapter), and a noise cancelling headphones, along with the default USB charger. Another separate device that came with my parcel although separate from the Xperia Z2 package was the 64 Gig Sandisk micro SD card. So first time I turned the phone on, I had a total storage space of 80 Gigabyte, which was enough for everything I planned to use this phone for. The desire for 4K video taking was high at the time, so it was a fitting partner for the phone. The 64 Gig SD Card fried up on a very hot and sunny day back in March 2015. For the record, it fried when I was in Ghana. I used it for months in ZA without any issues. Big GH helped spoil it! In fact, when the phone dropped on my desk, it marked the beginning of a long journey ahead of it. In details, I list every single possible thing I have done with my phone in the last year. In my next article. Depending on how you’ve used your phone, you might consider me a power user, or a beginner. Whatever the case, my phone never failed me.